As we revealed in our Rumour Box a few hours before the official announcement, the EPT's tournament at Deauville scheduled for late February has been cancelled. No further reason has been given. 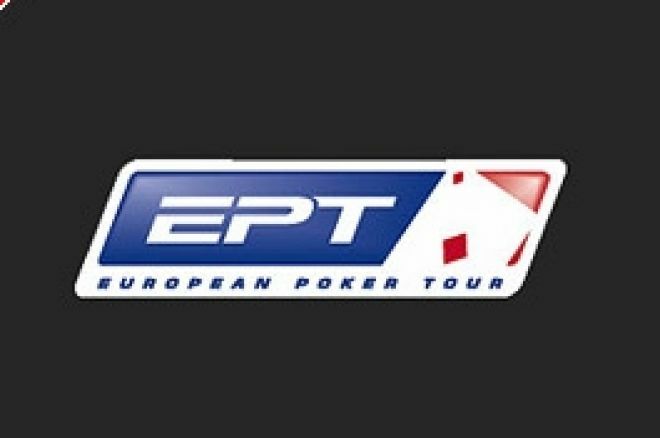 "European Poker Tour regrets to announce the cancellation of the 2007 EPT French Open due to take place at Casino Barriere de Deauville between 20-24th February, 2007. A full statement will follow." Not long before this surprise announcement, the EPT had given details of a new tournament to be held during Season 3. This will be in the emerging poker nation of Poland and will be an event limited to 300 players at a buy-in of 15,000 Zlotys, worth approximately €4,000. The tournament (No Limit Texas Hold'em) is to be held at the Hyatt Regency Hotel in Warsaw over the period from 14th to 17th March 2007. It will be fascinating to see if the European Poker Tour can attract the requisite 300 players to this event. It should not be too difficult for the regular Scandinavians and Austrians to make it but perhaps there will be less than the usual numbers of British and Irish players. Twenty years ago, if anyone was to suggest that Warsaw, then a part of the Soviet Bloc, would be holding a Europe-wide poker tournament, they would probably have been committed for insanity. However, since shaking off the shackles of communism, Poland, and its capital city Warsaw, is currently enjoying the biggest economic boom of its history. Warsaw has a rich cultural heritage, and is home to more than thirty major theatres, music venues and festivals as well as numerous museums and art galleries. The main airport is the Warsaw Frederic Chopin International Airport which can be reached direct from most major European cities and the USA. The airport is around six miles south of Warsaw city centre and around 5 miles away from the Hyatt Regency and the casino in which the EPT event will be held. The next EPT event is being held at the Casino Copenhagen in Denmark from 17th to 20th January. Ed note: There are daily EPT qualifying tournaments available when you download Everest Poker, and don't forget the $1,000,000 Everest Avalanche! Roll Up, Roll Up, for the Great British Poker Tour!